The Juddlies Cottage Playsuit was designed with you and your babys needs in mind – Juddlies take their fun clothes seriously! Featuring a double zipper for easy access to top and bottom. With Juddlies they give you quality, generous sizing, cotton softness, and great design that allows for easy use. Very happy with the quality of this sleeper! Without a doubt, this is the best sleeper I have ever bought. 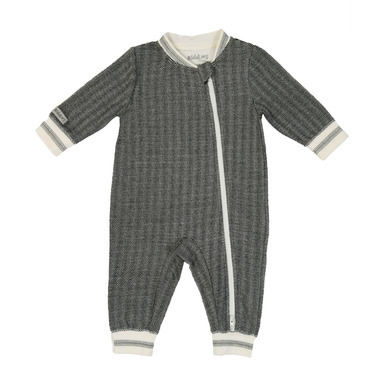 The double zipper, super soft material, and warm design is so great for winter babies.